mSdoS - RunDos. Vinyl EP. Bleep. 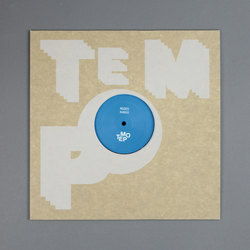 DJ Fusion’s Tempo Records with a new EP from mSdoS here. Anyone familiar with the Tempo aesthetic will know what to expect from RunDos. This is a record of crisp, well-produced drum & bass. The undulating and eerie background synths of ‘Night Ride’ and ‘Tanaka’ bring to mind Skanna’s best work. Elsewhere ‘The Duke’ combines classic junglist vocal samples with a pleasantly bleepy groove, while the title track is a nicely psychedelic joint. Plenty for DJs to work with here.